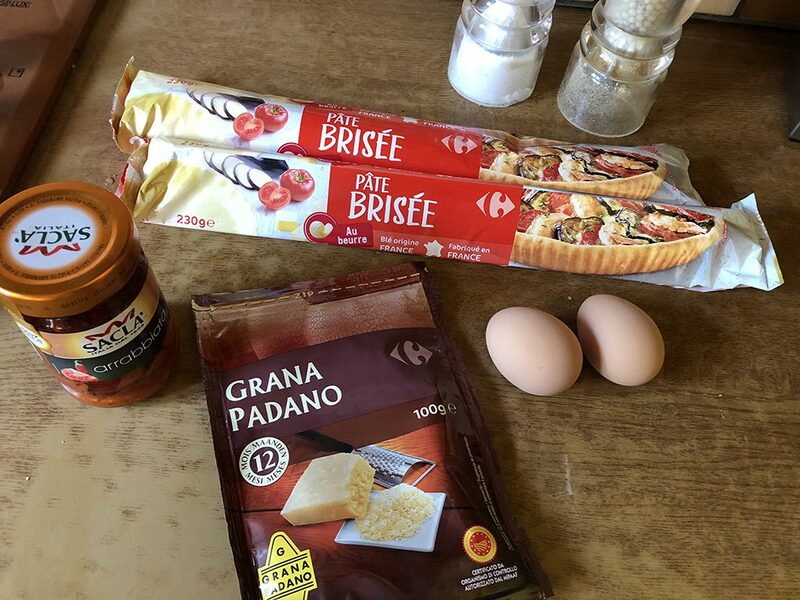 An easy snack for the weekend, ready within half an hour. 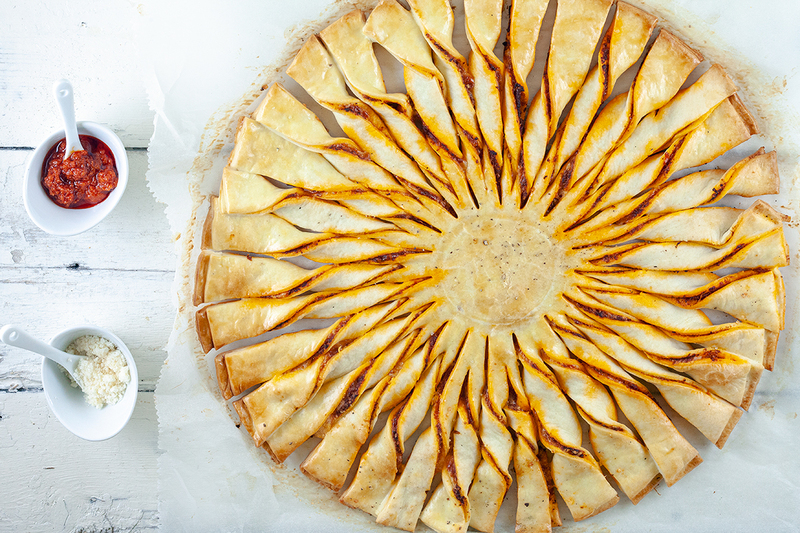 This tarte soleil isn't just pretty, it's also very delicious and easy to create. 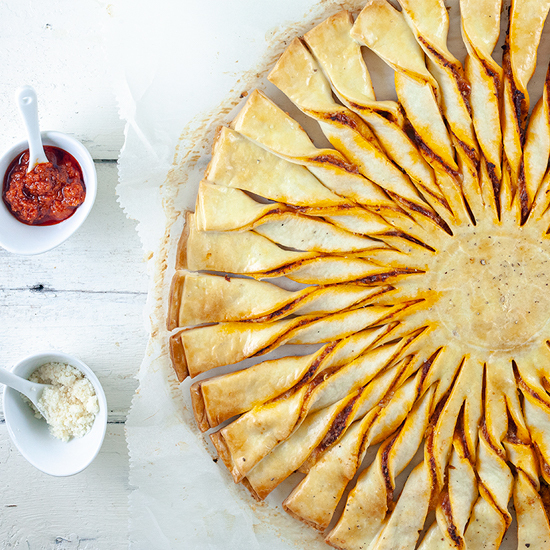 If you’re using frozen puff pastry, you need to defrost it first and create large sheets if needed. PRE-HEAT the oven to 180 degrees Celsius or 350 degrees Fahrenheit and line an oven tray with parchment paper. PLACE one of the sheets on the parchment paper, cause it’s not easy to transfer them later on. DIVIDE the tapenade and a handful of grated cheese onto the puff pastry, leaving the edges clear. CREATE an egg wash by beating the eggs with a bit of water. COAT the edges with egg wash and place the second puff pastry sheet on top. PRESS the edges downwards and coat the top completely with egg wash. Put a small bowl or glass in the middle of the puff pastry. Use a sharp knife to cut strips around the glass or bowl. 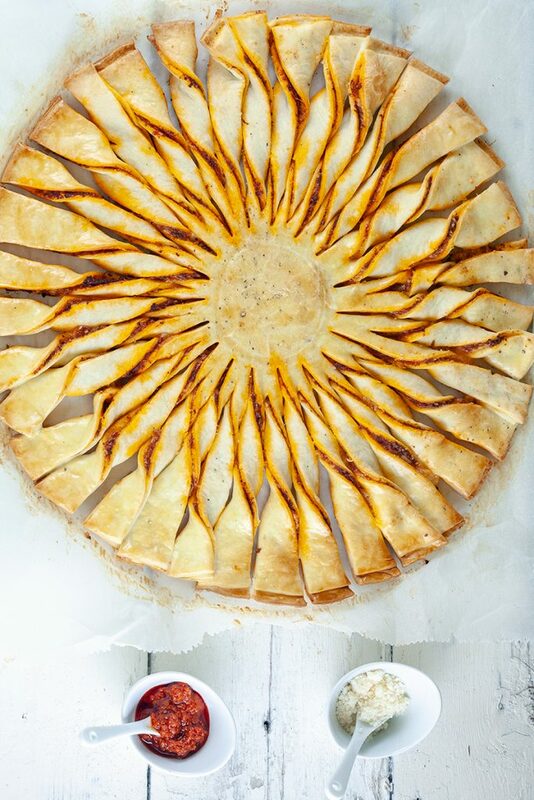 REMOVE the bowl or glass and twist each strip to create a beautiful tarte soleil. BAKE the puff pastry beautiful golden brown in about 10 minutes, the exact time depends on the oven and thickness of the pastry. Let it cool off a bit and serve as a snack, you can serve it with a dipping sauce (e.g. yogurt and mint or garlic). Enjoy!